Building the perfect bass guitar tone takes time and effort. Engineers often take to applying some seriously heavy lifting to the signal to satisfy studio-savvy bassists — blending several re-amping chains with heavy doses of filtering, compression, equalisation, saturation, and even some multi-band processing, plus more besides! Indeed, it is no secret that top-tier engineers often run the signal through their chains two or three times in series until both engineer and artist are 100% satisfied with the recorded result. Reality dictates that this is hardly surprising — both from an artistic and recording perspective. Why? Well, bass guitar can take a lot of processing since it is often called upon to fight against heavily distorted and harmonically rich layers of guitars and/or synths. So the tone needs to cut through the mix. Musically speaking, the bass has to be both consistent and tight, but it also needs to audibly demonstrate bottom-end ballsiness while making its presence felt in the midrange arena at the same time. This sometimes involves it having to be almost as distorted as those guitars and/or synths it is being called upon to musically support, so it cannot — and should not — be overlooked in the mix, as any engineer hot in pursuit of hitting that bass tone sweet spot knows only too well. Whether or not the bass itself is heavily distorted, maintaining clarity throughout is — more often than not — a delicate balancing act. After all, listeners should surely be able to hear which bass notes are being played? Perhaps. Putting all this into practice is easier said than done, though. That said, there are very few products tailored to post-processing of bass instruments; indeed, most of today’s engineers employ a similar workflow, where it is not enough to simply run the bass through a real tube amp or guitar amp simulation plug-in to achieve the standards being heard on today’s records. Reaching the lofty heights of those superlative-sounding records require a ton of real amps and/or a ton of simulation plug-ins working with a ton of processing plug-ins, pushing available CPU (Central Processing Unit) power to the edge — even beyond, sometimes. Surely, then, there must be a simpler solution? Sure is. 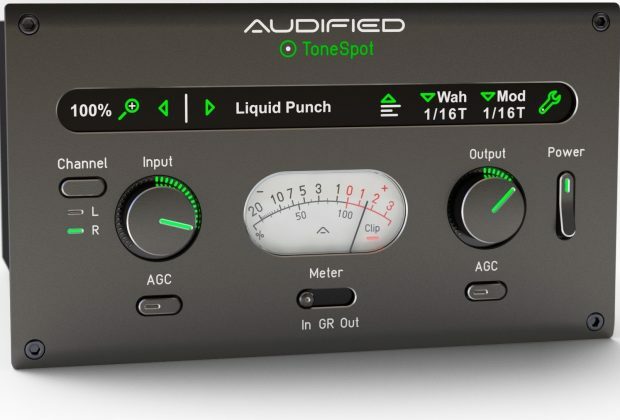 Please put your hands together and give Audified’s all-new ToneSpot Bass Pro — presented as an abundantly powerful channel strip plug-in with an impressive, user-friendly GUI that provides professional processing power to let users shape their bass tone to fit any musical genre — a warm welcome. Simply speaking, ToneSpot Bass Pro invariably improves the tone in question — no matter what amp, pedal, or plug- ins are already involved in processing the bass guitar. Get this, though: ToneSpot Bass Pro provides everything needed to (re)create those brilliant-sounding bass guitar tones that are making their musical mark all over today’s albums. 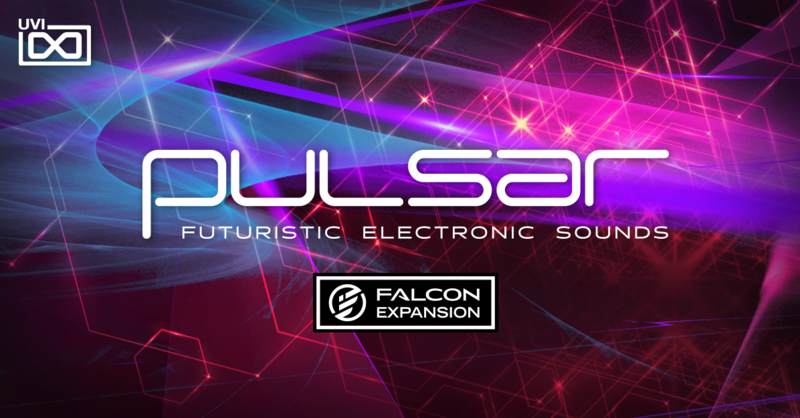 And all from within a single, simple-to-use processing plug-in — perfect for hitting that sought-after bass tone sweet spot every time, thanks to controls that make musical sense. Simply by offering those controls alongside settings based on analysis of thousands of world-class records, best practice mixing tips for bass guitar processing, intelligent gain staging, and ample processing power, plus flexibility, ToneSpot Bass Pro provides time- and energy-saving attributes like nothing else around — and all without needing to use a ton of processing plug-ins in pursuit of that aforesaid sweet spot! So let’s take a quick guided tour: the signal flow starts with the Channel button; there users can select whether they want both sides of the signal to be processed, or only the left (L) or right (R) sides. The Input knob allows the input signal strength to be set accordingly; alternatively, pressing the AGC (Automatic Gain Control) button sets the signal strength automatically, based on the calibration settings. 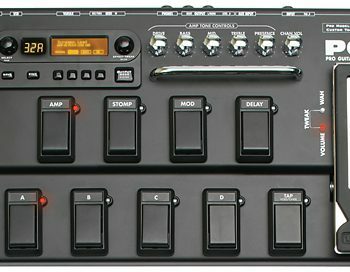 The Character section allows users to change the tone of their bass via three Type — Natural, Modern, and Vintage — settings; there users can also add additional, self-explanatory — Growl, Scoop, or Lo-Fi — Character features, or any combination of all of those settings. The SBG (Sub Bass Generator) section lets users adjust the Cut-Off frequency and also the Intensity of the generator itself to give the tone what it needs — and also give it some balls! Better still, self-explanatory sections above and beyond that bottom-end ballsiness do exactly what they say on the tin — or, better said, the GUI itself: add Saturation to the tone to give it some grit and fullness; Shaping the tone comes quickly and easily, thanks to an eight-band, musically-labelled EQ and associated frequency switches to perfectly match anyone’s bass tone-shaping needs with better flexibility; the Punch section says it all — add some slamming punch to the tone, while, for better flexibility, there is also a compression release switch; sometimes it is necessary to go really deep with some surgical EQ — all is there for the taking in the Surgery section; anyone needing to have their tone more dynamically controlled but not completely dead need not look any further than the Smash section; the Effects section is where the fun really starts, so why not add an Octaver, Auto-Wah, Modulation, or all three? The aptly- named Finalizer section is where ToneSpot Bass Pro users can turn to add some finishing touches to their beloved bass tone — fatness, tightness, and smoothness are all but a dedicated touch of a button away in this mastering-friendly final destination! 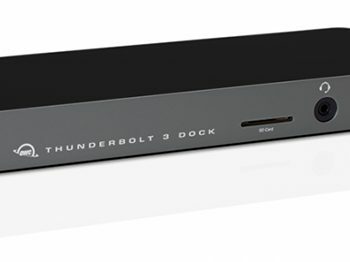 Duly glancing at ToneSpot Bass Pro’s controls contained within those self-explanatory sections should surely convince that this powerful channel strip plug-in is a must-have addition to any modern-day record-production arsenal. 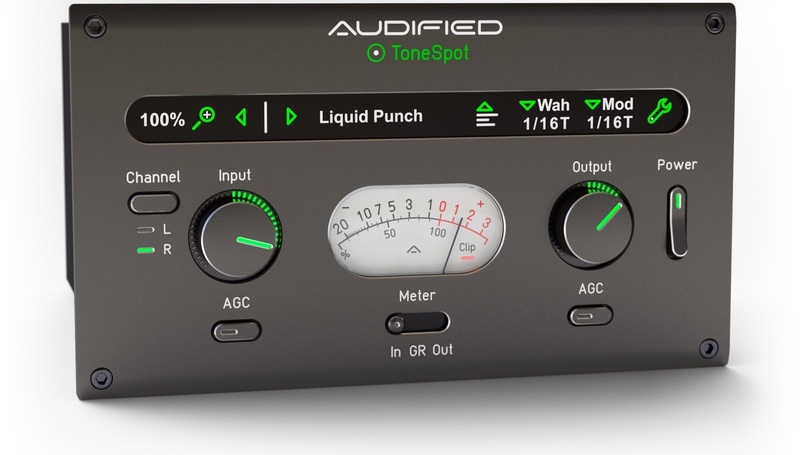 As such, Audified’s perfectly-aimed opening ToneSpot series salvo has made hitting that bass tone sweet spot simpler, as well as being a lot more wallet-friendly. For those to whom ToneSpot Bass Pro presents too much of a financial stretch still... ToneSpot Bass Express — featuring the same processing power as its bigger brother, but with a reduced control count — is coming soon! ToneSpot Bass Express will soon be available to purchase for a time-limited introductory promo price of $29.00 USD — rising thereafter to $49.00 USD — from Audified’s online shop. With more than 20 years of R&D, education, and collaboration connected with its notable name (https://shop.audified.com/pages/history), Audified actively develops software applications, software effects, and hardware processors for musicians, audio engineers, and installed audio. 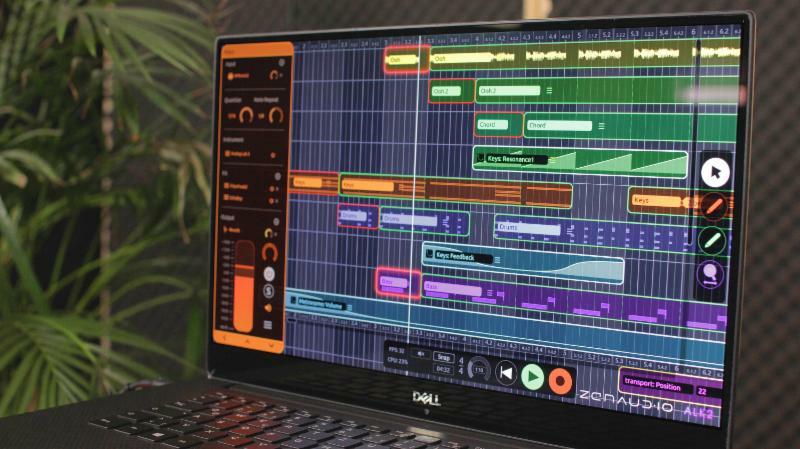 As such, the company’s collective vision is to improve and streamline music production workflow, adding a new aesthetic value to their customer’s work while helping them to achieve the best possible results. zenAud.io ALK2 Now Available for Windows!